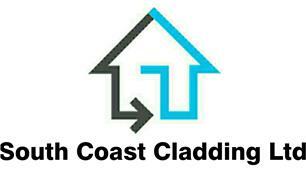 South Coast Cladding Ltd - Builder, Fascia/Soffits/Guttering based in Christchurch, Dorset. Hello my name is Gavin, I have worked for one of the South’s biggest home improvement companies for over 10 years, and with over 20 years’ experience altogether I have decided to start my own company. I am fully insured and guarantee to provide a reliable, professional and trustworthy service. Some of the services I can provide include: - UPVC Fascia soffit and guttering - UPVC Cladding -Cement weatherboard cladding - Flat Roofs using EPDM Firestone Rubber Roofing - Gutter repairs and servicing. All these services are provided to you at a fraction of the cost of the big name companies as I am able to cut out the "middle man" but you get the same product and a more personal service. Please contact me for a FREE, competitive no obligation quotation. GUARANTEED TO BEAT ANY LIKE FOR LIKE QUOTE!!!!!!! !